That's right, lovelies! Due to popular demand, the Otakon 2014 title page is FINALLY available as a print! ...except it doesn't say "Otakon" on it now, 'cos I kinda don't wanna get sued or anything. But it's got the Baltimore Convention Center in crazy eighties pastel, and THAT'S what everybody really wanted. And here's your chance to finally get your hands on one! HEY KIDDIES! Finished reading all the comics on the website and want EVEN MORE? Well here's your chance! 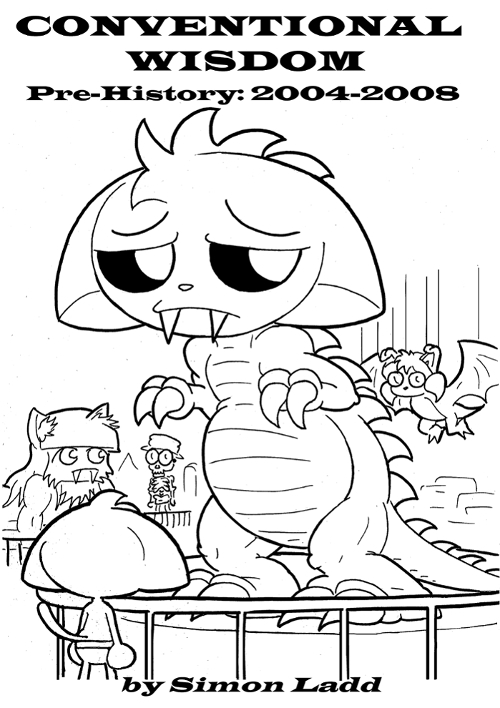 You see, Otakon 2008 may have been the first con I drew comics about, but it was far from my first anime convention period. 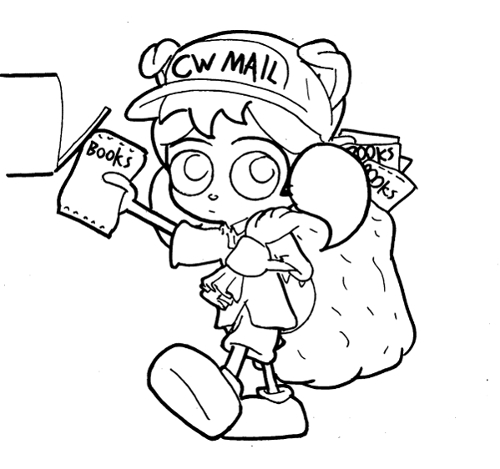 I was going to cons as far back as Animazement 2004, and kept plenty of journals about the experience. 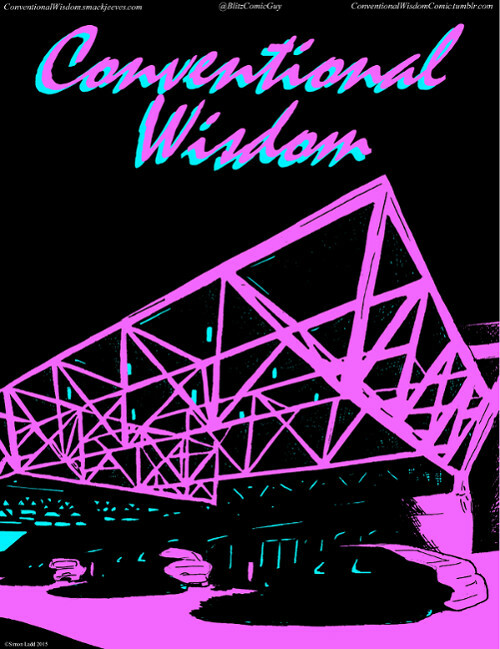 And now, I've dusted off those old journals and turned them into a whole new booklet of Conventional Wisdom comics you won't find ANYWHERE else! That's right, not ONE of the comics has ever appeared online. If you wanna see 'em, you gotta grab this new booklet. See what conventions were like in the distant past of a few years ago! Relive the nostalgia of going to conventions when you weren't that old yet! Thrill at the spectacle of me without the bucket hat! ALL THIS AND MORE FOR THE LOW, LOW PRICE OF TEN DOLLARS! You know you want it... right? You so want it, don't you? PLEASE?